One can get a boat or small plane from Houghton or Copper Harbor, Michigan to Isle Royale National Park, but it is a long ride. The narrowest approach is fourteen miles from the mainland near Canada. It is a long drive from Duluth, Minnesota, also on Lake Superior to Grand Portage, Minnesota where there are private boats. From where we were in International Falls, it was actually easier to drive back into Canada across to Thunder Bay and then south again to Grand Portage. The main island is about 45 miles long, but the park includes over 450 smaller islands. When one reaches the island, the only option is to stay in a limited number of rooms at a lodge at the north end or camp. If camping, one is best advised to bring one’s own supplies and be prepared to pack the refuse out. 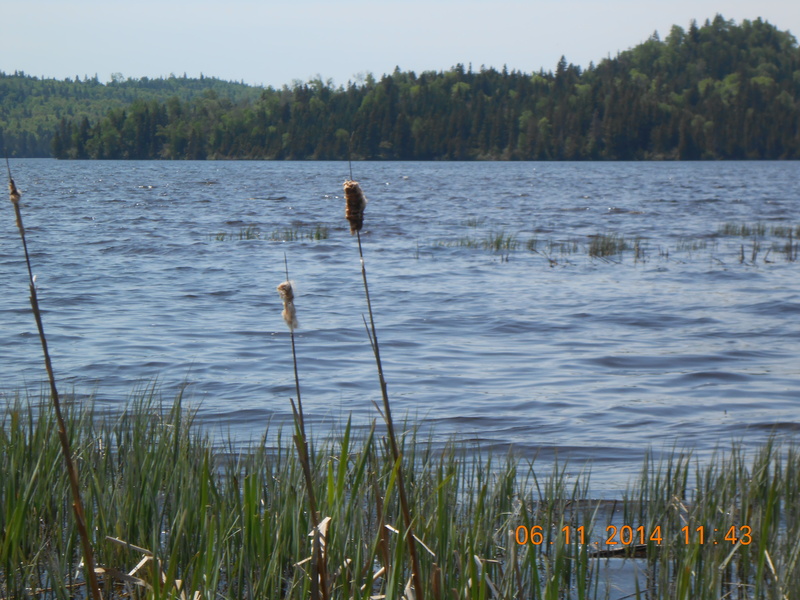 Because Lake Superior stays so cold, arctic plants can be found on the island. It should be no surprise therefore, that Isle Royale is one of the least-visited National Parks. I heard they had only twenty-two thousand visitors a year. There are currently only 18 animal species on the island. Moose are thought to have arrived around 1900 and grew to a heard large enough to be damaging to the environment, perhaps driving out the caribou. But then in the 1940s, a wolf arrived, the progenitor to a large greatly inbred pack (probably driving out the coyote and lynx). And then in the 1990s, a superior male wolf arrived whose genes now dominate. The original moose may have swum to the island, but it is now thought that like the wolves, they probably arrived during a period when Lake Superior was completely frozen and they could walk. This seems to be our year to visit waterfalls, so on our drive to Grand Portage, we stopped at Kakabeka Falls which are 131 feet high. Unlike most we have seen, they are easy to get to from the highway. 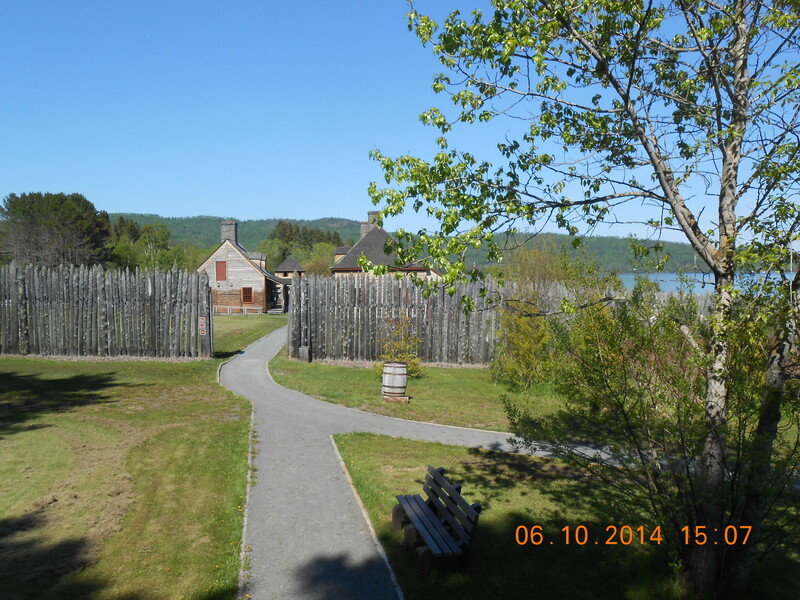 Grand Portage National Monument celebrates the location where The Northwest Company, a fur trading company owned by Highland Scots, had a trading post. 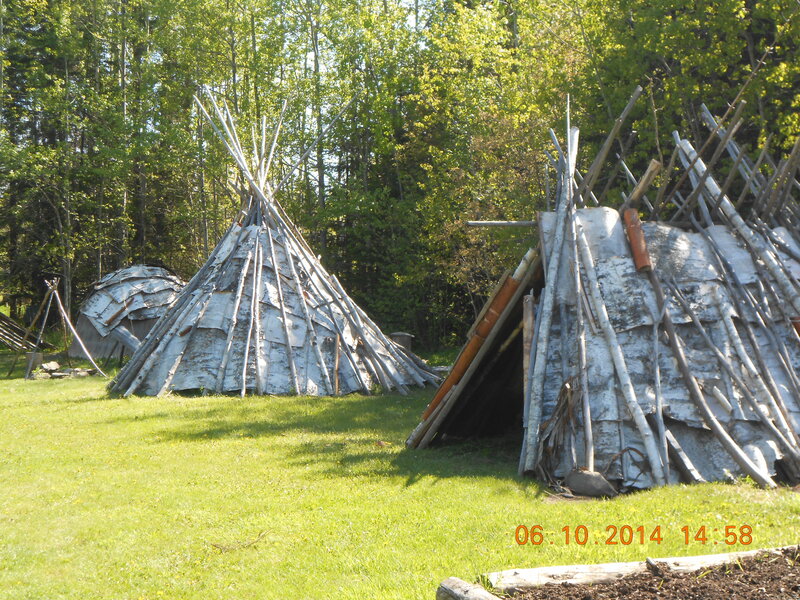 A few of the original 17 buildings have been recreated as well as a few Ojibwe Indian birchbark homes and canoes, and re-enactors tell the post’s story. In 1793, all the trading goods of the company passed through this post. 182,000 beaver pelts were processed. We were surprised to learn that trading goods were brought to the post from all over the world, not just England. 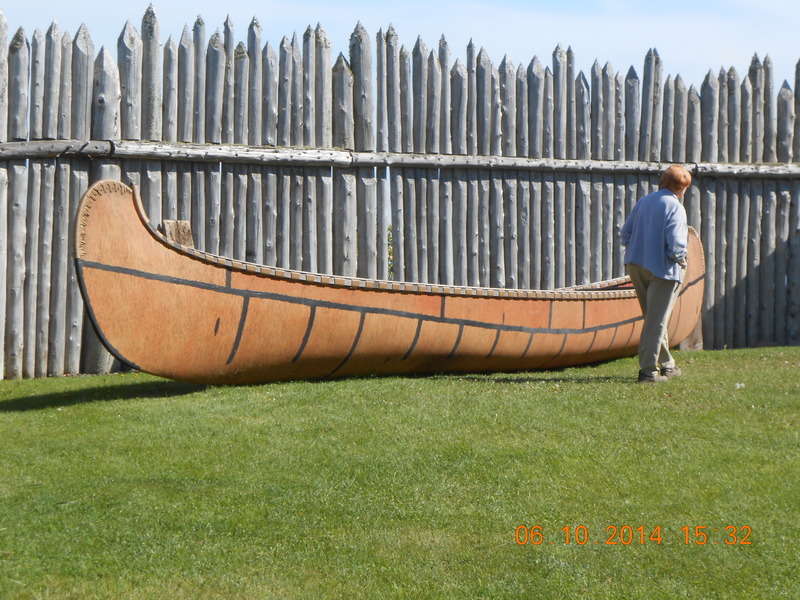 They arrived on birchbark canoes as long as 35 feet. Other canoes, about 25 feet long, took the goods inland and returned with ninety-pound bundles of furs. 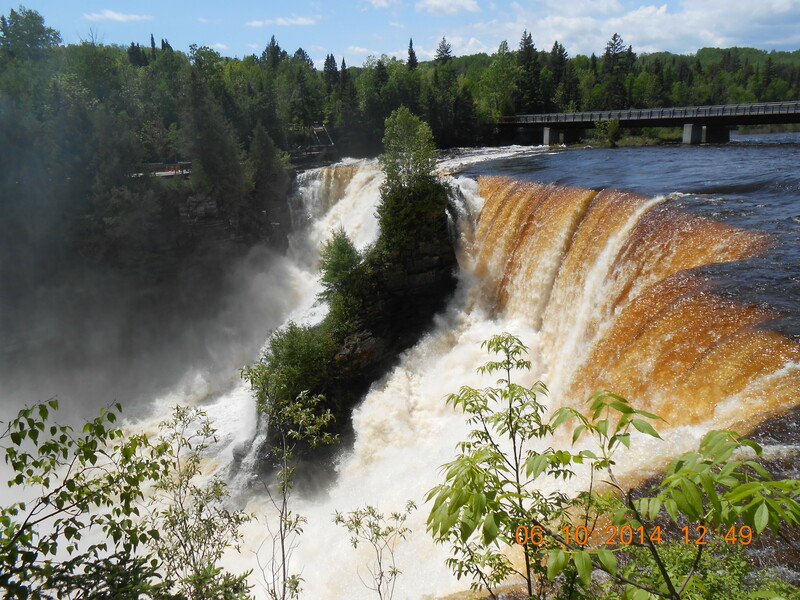 But both furs and trading goods had to be carried over an 8-mile long portage to avoid the rapids and falls at the mouth of the Pigeon River, hence the name Grand Portage. 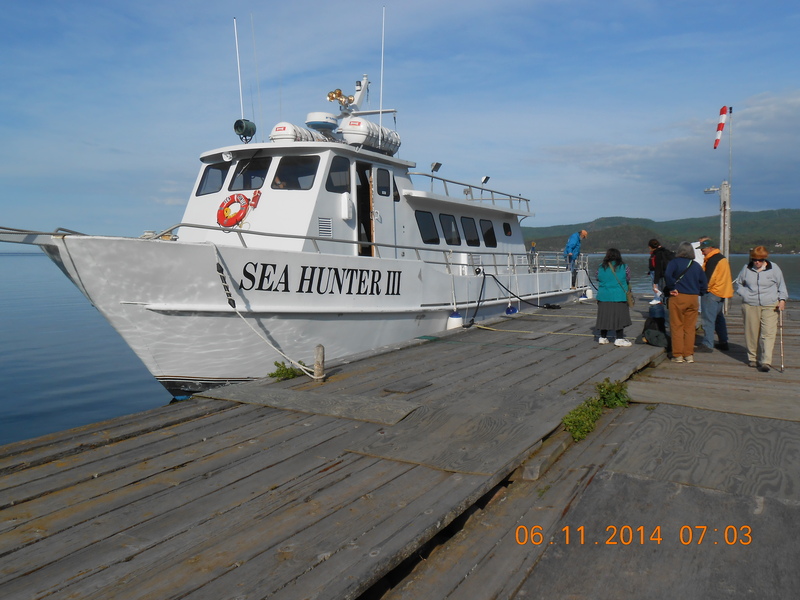 We timed our arrival to catch the first Sea Hunter voyage to Isle Royale for the season on June 11. We called ahead to make reservations, and were glad that we did. It is not a large boat, and it was full. We deliberately chose seats outside because the fresh air helps Alie avoid seasickness. It was cold. We had heavy jackets over multiple layers. It was cold. Even though the air was in the 40s or low 50s, the lake temperature was just 37 Fahrenheit and the motion of the boat created quite a wind. It was cold. We stopped briefly to look at a small cedar tree growing out of a rock that has been documented to be at least five hundred years old. 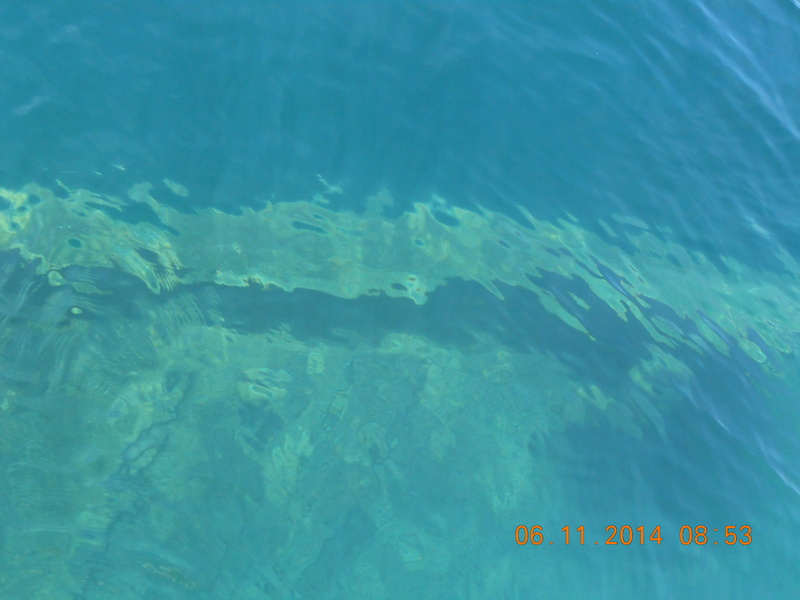 We stopped again because the water was calm and clear, and we could look down at the remains of one of the many Lake Superior shipwrecks. Nonetheless, the advertised two-hour trip took only about an hour and a half. We were glad. It was cold. The Sea Hunter just takes people out to a park visitors’ center at the south end of the island for day-trips. We had just four hours on the island. 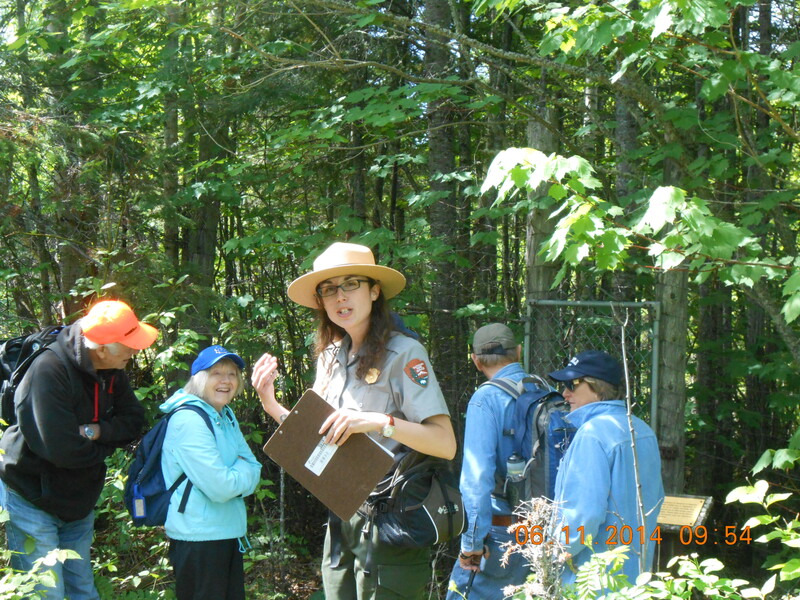 We were met by a ranger and three assistants who offered three or four park programs. We took a guided hike with Ranger Katy who spoke to the group as if she was talking to kindergarten children but was otherwise interesting. Although I would have been interested in hearing a lecture by a naturalist working on the more than fifty year-old study of the wolves and their prey, we decided instead to buy some sandwiches at the little store and take a walk along the shore. 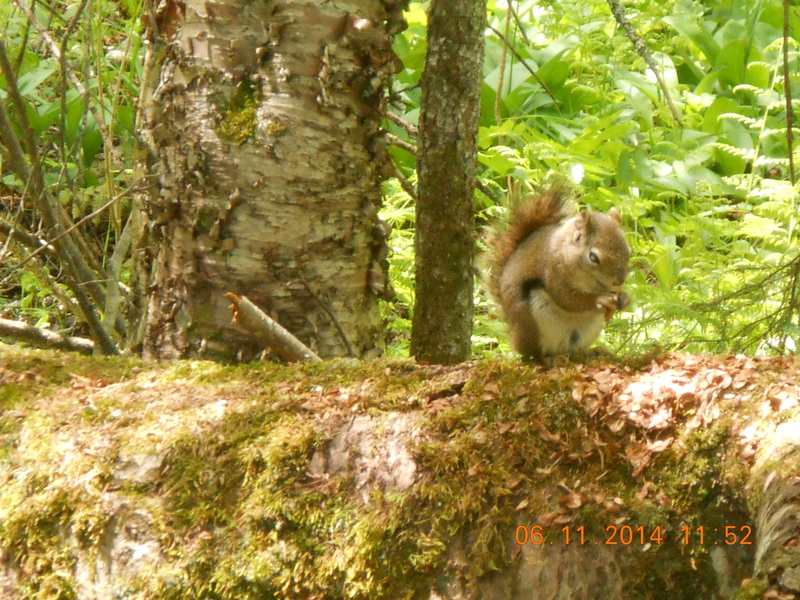 We would have loved to have seen a wolf or moose, but had to settle for the scolding of a red squirrel. Nonetheless, it was a quiet and beautiful walk. This entry was posted in Travel Logs and tagged Grand Portage National Monument, Isle Royale National Park, Kakabeka Falls, National Parks. Bookmark the permalink. 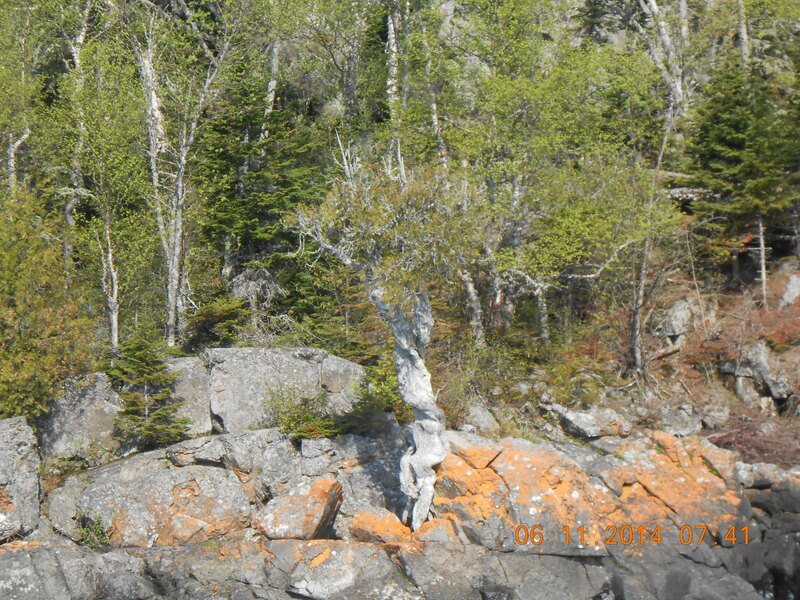 Thanks for your insights and experiences travelling to Isle Royale – helpful to one who is considering visiting it someday. I hope you make it there. We were staying in a hotel on the mainland, and in any case, Alie is not up to camping. But if you can do it, I think I would plan to be on the island at least a couple days in order to enjoy more of what it has to offer. We were there the first day they were open, but I suspect it is never warm 🙂 The Park Service will have more information.